Street Etiquette– Travis Gumbs and Joshua Kissi. These two kings of fashion will never let you forget to pay close mind to the styles on the street. This series captures the fashion icons of our day and re-styles them through illustration. Who do you think should be styled next? I started a little project for general use creating Men’s Fashion Design Templates. These are the first concepts of many to come. I am hoping to create a wide range of ‘specific use’ like the templates below and ‘general use’ for added customizability. Look for free template and vector downloads to be coming soon. Would it be helpful to see the outlines of the heads? 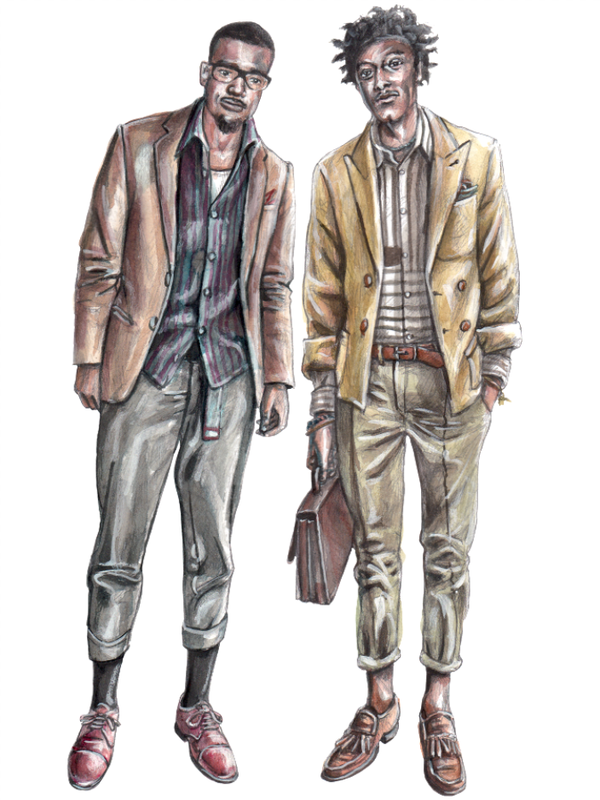 If you want to see more Men’s Fashion Illustrations check out the Illustration Weekly section of the blog.